One Hundred and four years ago, on March 25, 1911, around 4:40 in the afternoon a fire broke out on the eighth floor of the 10-story Asch Building in Manhattan. Several commercial occupancies were housed in the building that included the Triangle Shirtwaist Company’s factory, one of the City’s largest blouse makers which specialized in the manufacture of women’s garments having a tight waist and puffy sleeves. The owners of the factory were made rich over time by the exploitation of their workers, mostly immigrant women, some as young as 13 or 14. Nearly 600 of these workers occupied the 8th through the 10th floors. They worked very long hours, six days a week, in extremely overcrowded accommodations. Nearing 5:00 P.M., most of the factory workers were preparing to leave the building for the day. Many were gathering their pocket books and other belongings to take their turns on one of the four elevators in use. A garment cutter observed a small fire in a scrap bin. 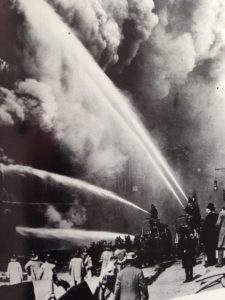 Attempts were made to extinguish the fire by throwing pails of water on the blaze, but it rapidly spread out of control. Supervisors tried to use the standpipe hoses available to them, but they were not working. Almost everything on the three floors was combustible with hundreds of pounds of cotton scraps, tissue patterns, and wooden tables. The elevators quickly filled beyond their capacities and were unable to make the needed trips to the upper floors before the fire invaded the shafts and made them inoperable. The only fire escape was soon overloaded with frantic young women and, in short order, buckled and collapsed. Some workers made it to the roof where they were helped to adjacent buildings. However, many of the workers were unable to escape down interior stairs because exit doors were locked according to company policy in order to prevent theft. Out of instinct and fear of dying in the inferno, large numbers of people rushed to the windows. An alarm of fire was transmitted to the Fire Department of New York at 4:45 P.M. Within minutes the first arriving units deployed hose streams and raised aerial ladders. Tragically, the department’s ladders only reached to the sixth floor. Those girls standing at the windows had little choice but to jump. Accounts report that the girls waited as long as they could, but one by one and in groups, they jumped to their deaths. Early arriving fire companies experienced great difficulty positioning their apparatus because of the dozens of bodies falling to the ground in front of the building. The fire went to a 4th Alarm but was controlled and over in less than an hour. The task of removing bodies lasted well into the following day. In total, 146 people died in this horrific fire. As is so often the case, public outrage demanded that new laws be passed to make these occupancies safer. Codes were updated, and fire prevention initiatives were stepped up nationwide. So, what’s the South Carolina connection to the Triangle Shirtwaist fire of 1911? The “Founding Father” of the South Carolina State Firefighters’ Association, Chief Louis Behrens of Charleston, was a frequent visitor to the Fire Department of New York for many years and spent significant time training alongside and under the tutelage of some of the greatest leaders of that day…Chief Edward Croker, Chief John Kenlon, and one of the most colorful and well known Chiefs of all times, “Smoky Joe” Martin (for whom “Smoky Bear” was named). In the years after 1900, Louis Behrens was promoted to the Chief’s position of the Charleston Fire Department and also served as Vice President of the National Firemen’s Association where he continued his friendship with those famed leaders of the FDNY. Chief Behrens exhibited an uncommon passion for fire prevention, and, from his early career, was a proponent of strong codes enforcement. 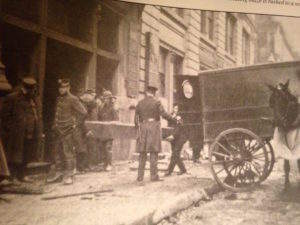 When the news of the tragedy at the Triangle Shirtwaist Factory spread across the country, Chief Behrens grew even more passionate about improving fire prevention, enforcement of sprinkler requirements, insuring presence of adequate means of egress, and other fire educational efforts in South Carolina. One can be assured that Chief Behrens remained in frequent contact with his friend, Chief Croker, under whose command the fire was extinguished, investigated, and who shared to the nation those lessons learned. 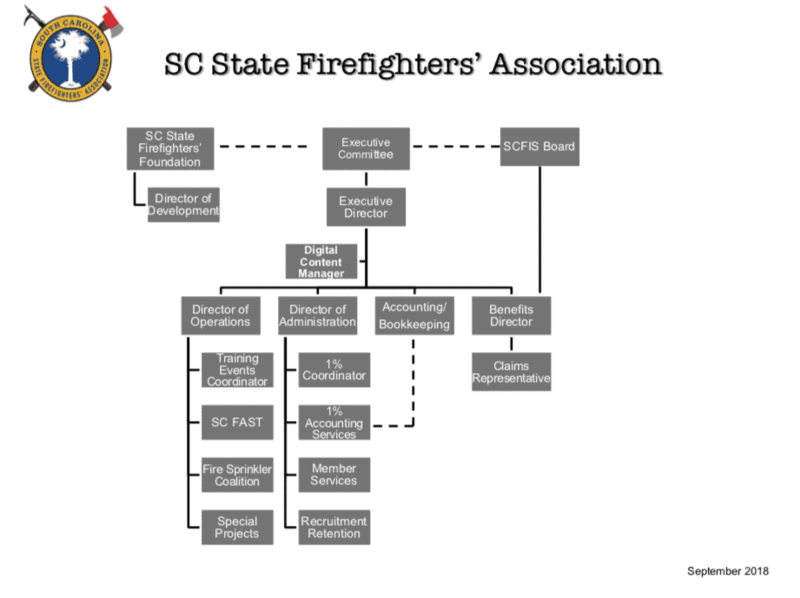 Now, you know South Carolina’s connection to the 1911 fire at New York’s Triangle Shirtwaist Factory and its impact on our lives….thanks to our leader, Chief Louis Behrens.